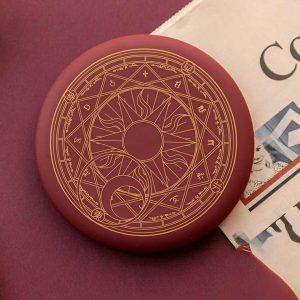 🔮 Sci-Fi Style Design 🔮 Star array with magic runes surrounded makes a sacred space to cast a powerful spell. 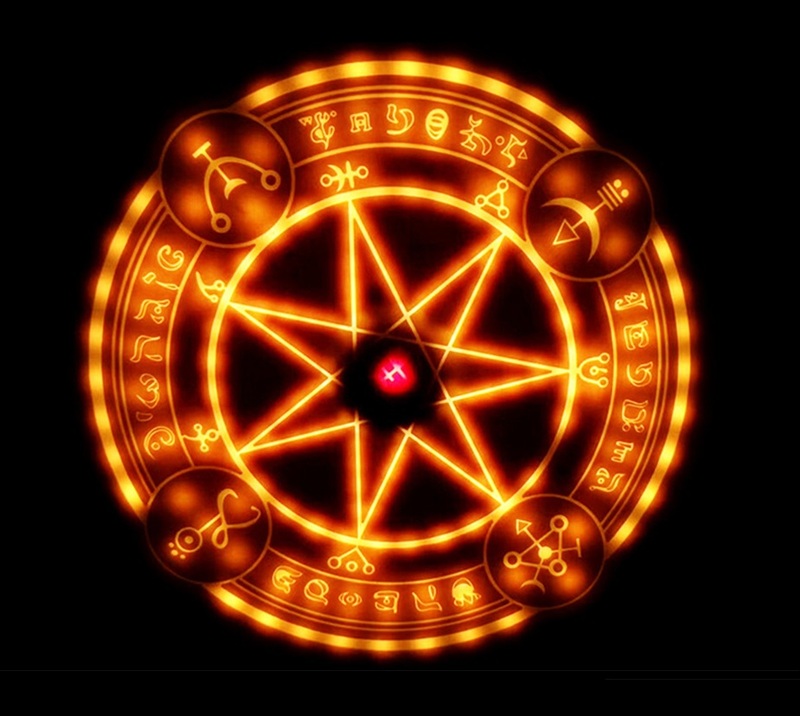 The cool lighting effect is inspiring from Japanese fantasy anime like Fullmetal Alchemist and Cardcaptor Sakura. 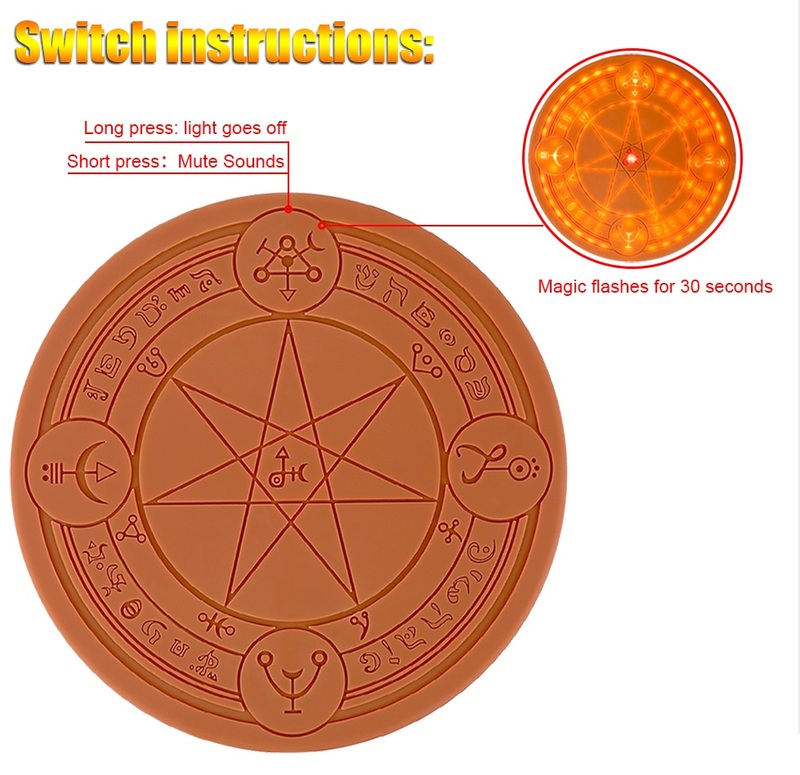 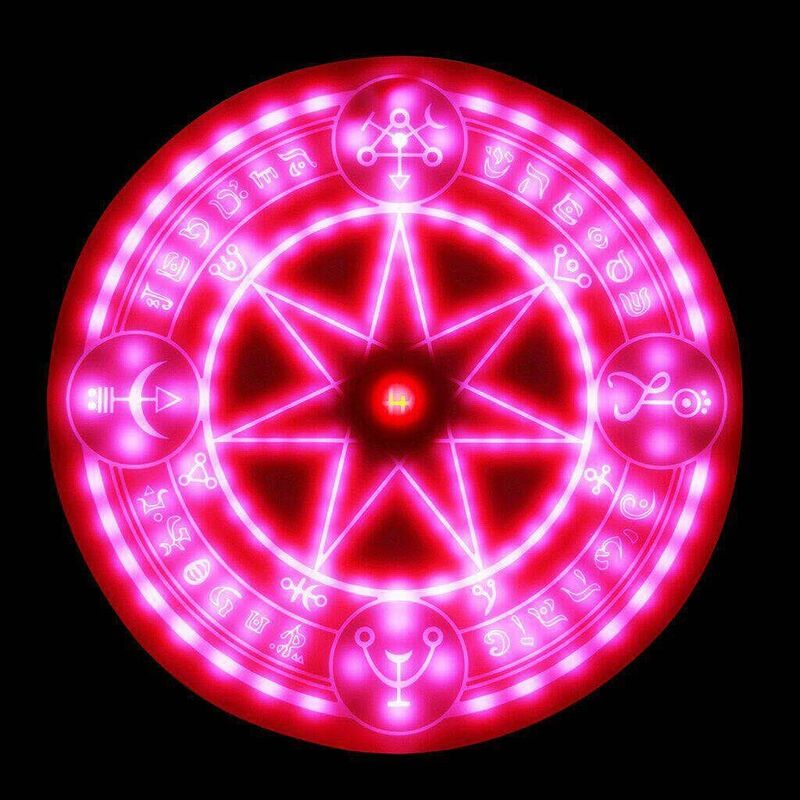 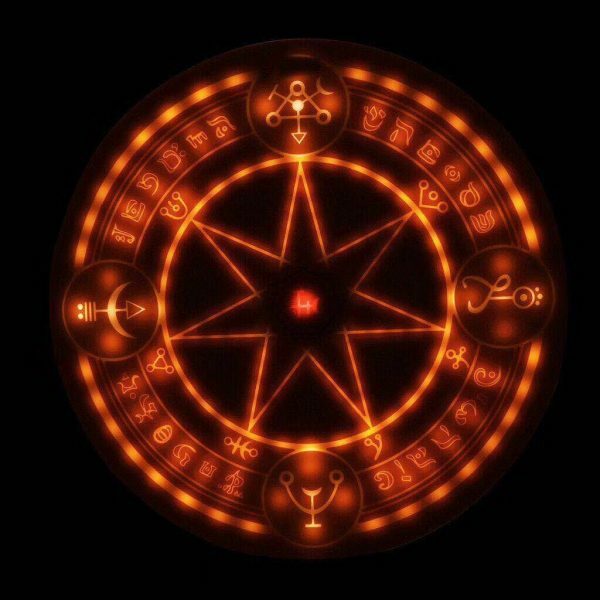 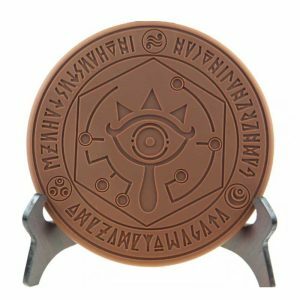 This transmutation circle is ready to reveal its magic to human beings. 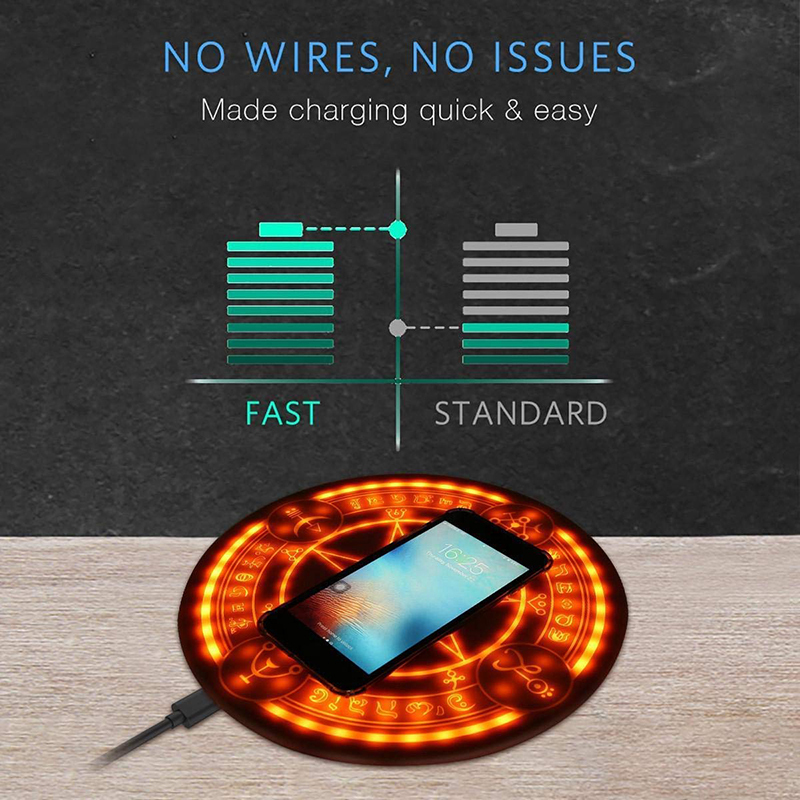 🔮 Hassle Free 🔮 Wireless chargers definitely save your time & effort, simply put your phone on the charging pad and … voila! 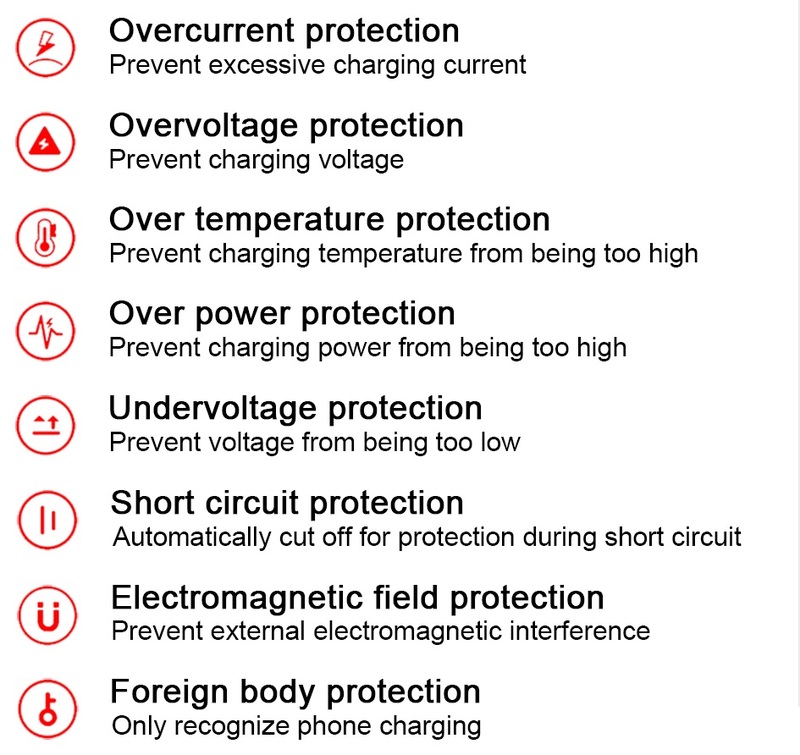 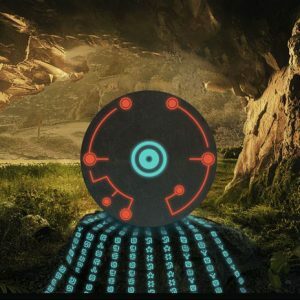 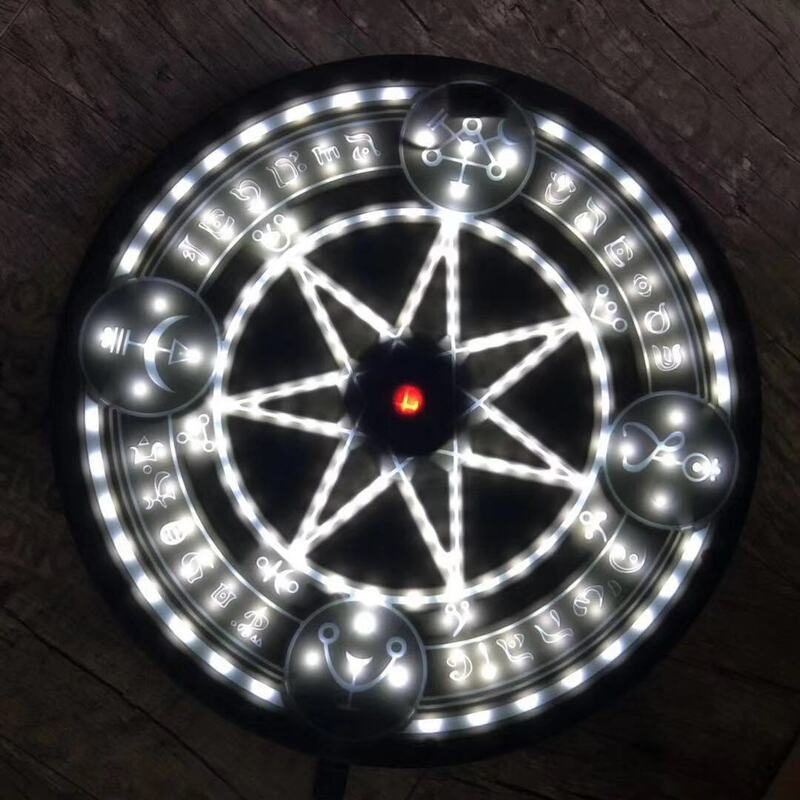 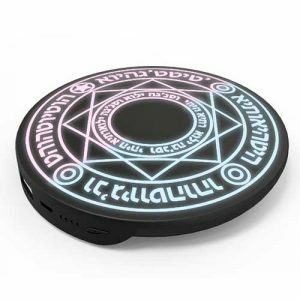 🔮Magic Circle Protection🔮 Using the latest technology, the upgraded chips has multiple intelligent control to avoid over-charging, over-heated, and short circuit. 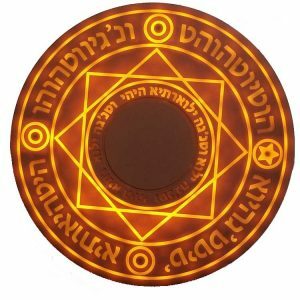 Simply put your smartphone in the middle, the magic circle will illuminate instantly from outside of the circle to the middle. 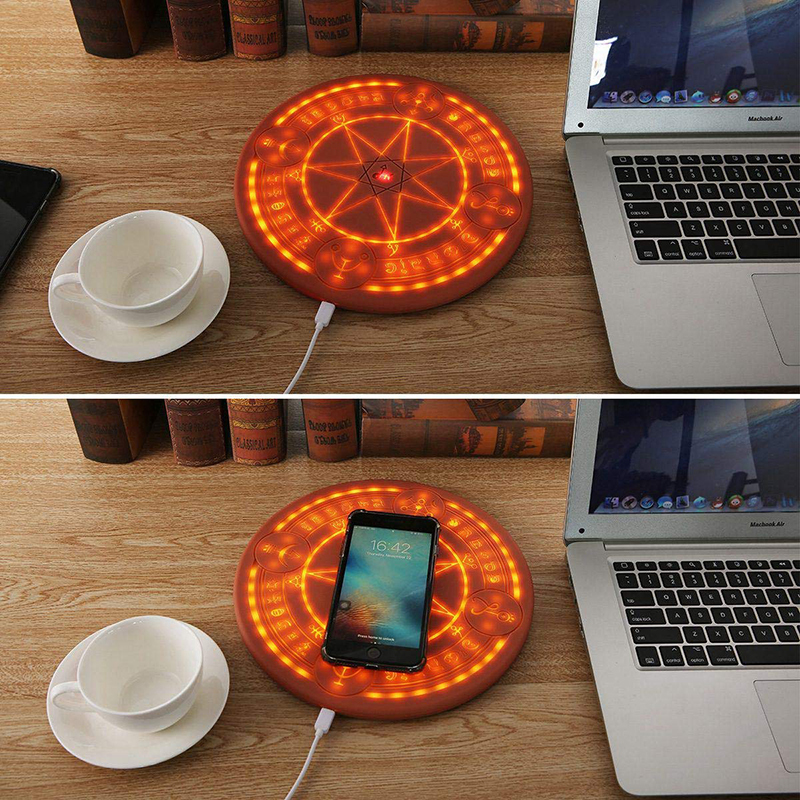 Make phone charging not only a daily routine but a supernatural ritual! 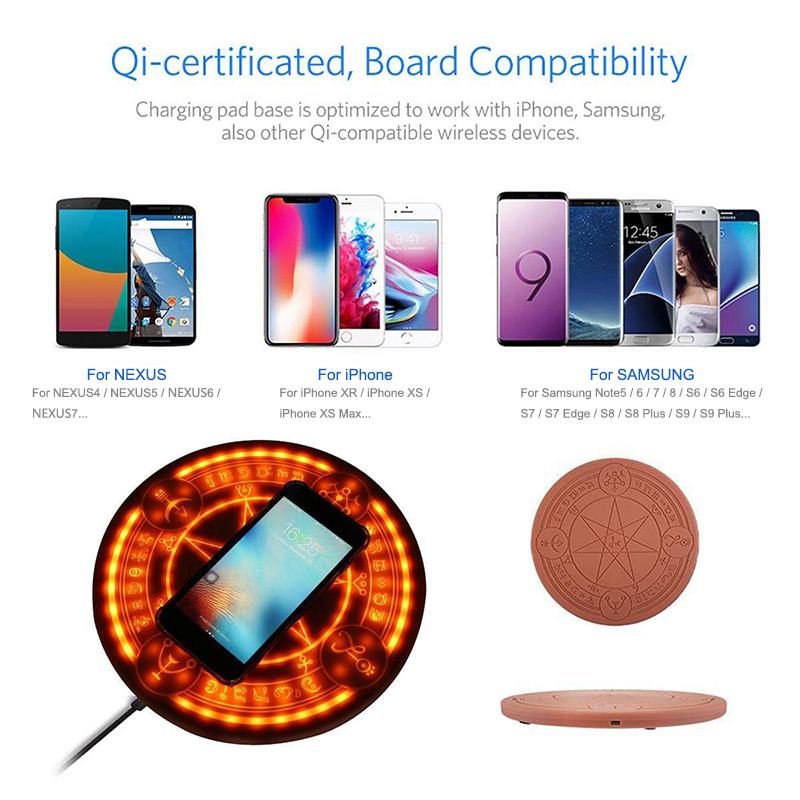 Compatible for all Qi-enabled mobile devices. 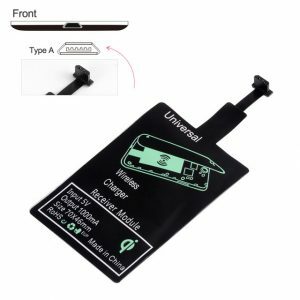 For devices without wireless charging function, we recommend using wireless charging adapters(NOT INCLUDED).